- Laurent Chéhère's "Flying Houses"
Opening: Fri, Oct 25th, 6-8pm- Laurent Chéhère's "Flying Houses"
- Doing and Undergoing - A Site Specific Art Installation Celebrating 125th Year Anniversary of Teachers College that reflects the educational philosophy of John Dewey. - Melvin Martinez - All Inclusive! The Aldrich Contemporary Art Museum. - Cynthia Daignault - Which is the Sun and Which is the Shadow? Robert Rhee, Rachel Higgins, Charlie the dog. An Open Mic will follow the scheduled acts. 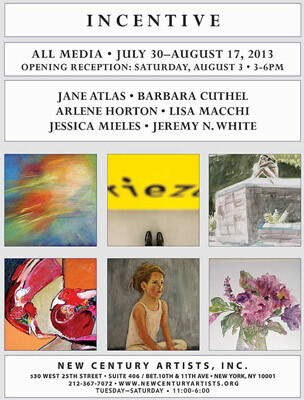 A list of particpating galleries will be available at all locations. Derek Franklin - We Seem to be still moving. On 43rd St from 8th - 9th Aves. at Broadway and Whitehall St.
- Douglas Gordon - Sharpening Fantasy 1012. His work embraces photography, the written word, sculpture and music. - Costume Class Sundays - "Dressing in progress" Masha calls it. Starting with stockings and ending fully dressed for the two 40-minute poses. - Urban Decay - Josh George, Christophe Lopez-Huici, Michela Martello, Erik Sanner, ChrisRWK & Herb Veng Smith, and Justin West. - Here and There: British Artists in America. Garth Evans and William Tucker in Conversation with Ann Compton Discussion coincided with the publication of Garth Evans Sculpture, Beneath the Skin. - Jeroen Verhoeven’s Cinderella Table is featured in MAD’s Show, Against the Grain, about current concepts in woodworking. - Pysanka - The Ukrainian Easter Egg Exhibit - Sofika Zielyk lectures and demonstrates with eggs and the batik process. - John Baeder, William Nichols, Tollef Runquist, Fred Scruton, Gina Minichine, Romain E.
- Frank Gehry at Gemini"
- Audubon's Aviary: Part I of the Complete Flock - In Celebration of the release of the book Audubon's Aviary: The Original Watercolors for "The Birds of America"
- Panel Discussion - Hands On - Svetlana Alpers, David Rosand, Robert Storr and David Cohen, moderator.